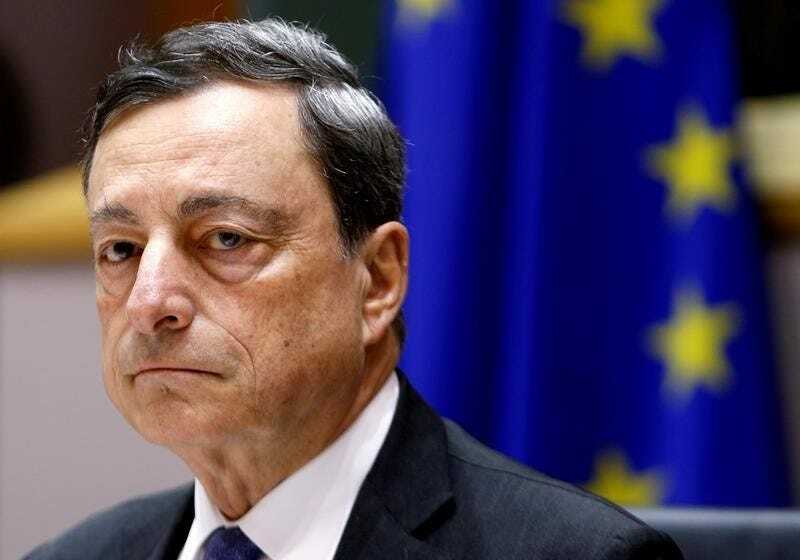 The European Central Bank said Thursday it will end its bond-buying program in December. The central bank also said it expects to keep rates unchanged through the summer of 2019. The euro fell 0.55% against the greenback following the announcements. 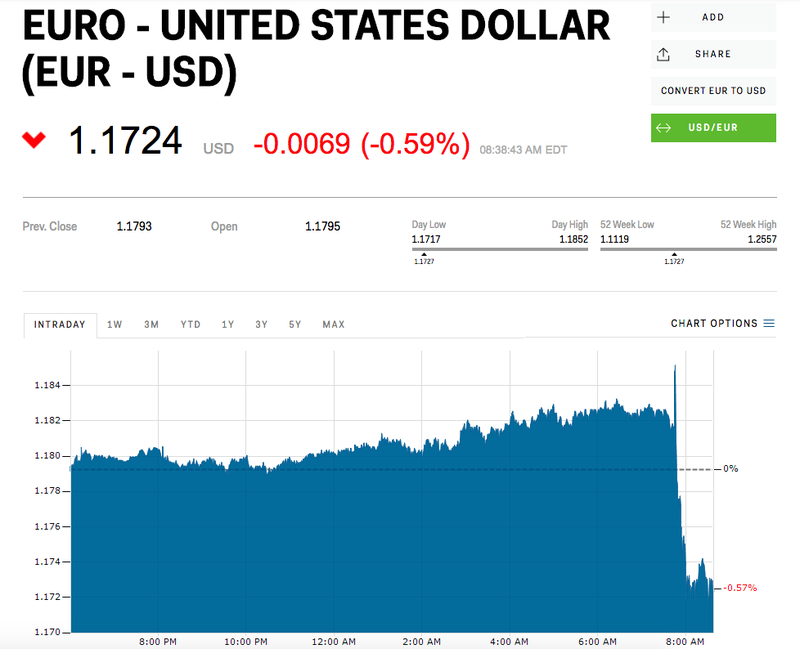 The euro slid versus the dollar Thursday after the European Central Bank said it would end its €2.5 trillion ($3 trillion) bond-buying program at the end of the year and expects to keep rates steady through next summer. The euro was down 0.56% against the dollar at 8:30 a.m. ET. The ECB said in a statement that the large-scale stimulus program, which has been in place since 2015 amid the eurozone debt crisis, will end in December. The level of monthly bond purchases, currently at €30 million ($35 million), is set to be cut in half starting in September. The central bank said it expects to keep rates unchanged "at least through the summer of 2019." It revised its inflation forecast for the next years from 1.4% previously to 1.7%. "Underlying inflation is expected to pick up towards the end of the year and thereafter to increase gradually over the medium term, supported by our monetary policy measures, continuing economic expansion, corresponding absorption of economic slack, rising wage growth," ECB President Mario Draghi said. The announcement comes one day after a relatively hawkish Federal Reserve policy meeting, where officials raised the fed funds rate by 25 basis points to a target range between 1.75% and 2%. The central bank also signaled there would be two more hikes this year, more than previously expected. The euro is down 2.44% versus the dollar this year.